My youngest daughter recently got her license. She proudly drives herself to her friends' houses, her favorite frozen yogurt place and Target. Recently, she asked if I needed anything at Target. What a sweet gesture! I needed shampoo. She asked what kind. I said any shampoo for men will do. 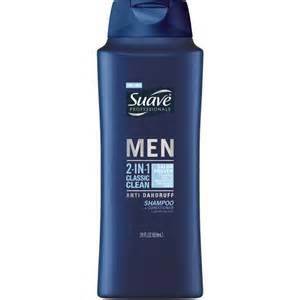 So she returned home with a large bottle (more like a tub that you would get from Costco) of Suave Men's DANDRUFF shampoo. Now, I don't have dandruff (not that there's anything wrong with that! ), and this tub will likely last even the most stubborn dandruff users until 2018! My first reaction to myself was, "I don't believe this. I should ask her for the receipt and exchange the bottle for the right kind of shampoo." Then my mind drifted to my childhood. I am a perfectionist. It might have something to do with the fact that while growing up I was given a dreaded shopping list when I got my license. I had to get the EXACT items on the list. Any deviation, and back to the grocery store I went to make it right. Each return trip felt like a punishment for doing it wrong. I can still feel the pressure of returning home, hoping that I got the every item exactly right. So I chose to shift my perspective about this dandruff shampoo purchase. My new story became that my daughter DID get me the right shampoo. The shampoo is a gesture of her sweet desire to help me out. I have not told her that she got me dandruff shampoo, or the wrong shampoo. Instead, I simply said "Thanks so much sweetie. You really helped dad out!" What is your Suave Dandruff story.... and how can you shift your perspective?